Get Joanne’s latest book now! The message “smart is something you get, not something you are,” is a powerful one. It offers life-changing hope for growing a better brain through personal effort. This is an exciting time to be studying the human brain. Advances in brain imaging and neuroscience have revealed new and exciting secrets about how the brain learns and responds to life’s experiences. Research is confirming that the brain changes constantly throughout our lives. These advances in neuroscience have enormous implications for educators and students. Aim to Grow Your Brain provides its reader with basic neuroscience lessons, allowing them to understand their potential for intellectual growth. Powerful, personal stories and fun activities help explain the impact of attention, effort, and practice on brain structure. As students discover that intelligence is expandable, not fixed, they begin to view difficult challenges or failures as opportunities to get smarter, to learn something new. They remain more fully engaged when lessons are difficult and understand that more effort results in more ability. If you embrace challenges, give your best effort, and practice – you will grow in intelligence. We all have the potential to grow a better brain. 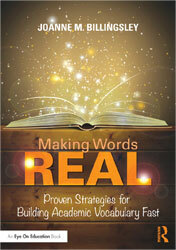 Inspire students to embrace academic challenges, and understand their potential for intellectual growth. Motivate teachers to create an enriched academic environment, and help them visualize the impact of that enriched environment on learning and brain structure. Provide a message of hope: “If you embrace challenges, give your best effort, and practice – you will grow in intelligence. We all have the potential to grow a better brain”. 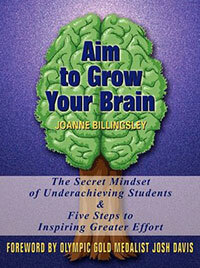 Are you interested in bringing the Aim to Grow Your Brain Program to your campus? I can individualize the program for your specific needs. For more information about pricing and the availability in your area, please contact me at jbillingsley@satx.rr.com.